Participant Profile: Top Leadership (Non-HR), Top HR and L&D leaders; Sectors represented included Banking & Finance, Telecom, FMCG, IT/ITES, Manufacturing, Insurance, Realty, Pharma, Engineering, Designing, Real estate etc. with a mix of Small, Mid-Cap & Large scale industries. The stage was set for a ‘Wholesome’ evening at Sofitel Hotel as the first of the guests trooped in for Carpe Diem Mumbai 2013. It was a drizzly Friday evening and a festive holiday on account of Eid at that! Yet, the steady in flow of guests continued and by 7pm the Salon Louvre was packed. 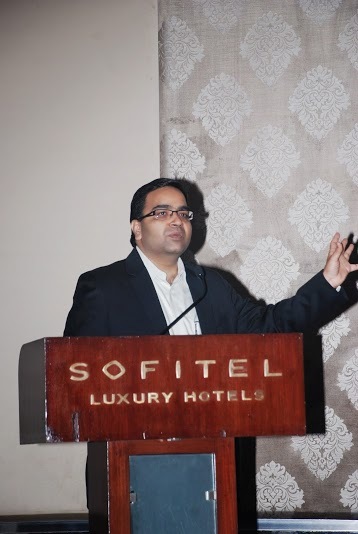 The host for the evening, Vivek Yatnalkar – the COO of Pragati Leadership, took stage and started proceedings by welcoming the guests. He touched upon the current state of affairs vis-à-vis Business, Social, Political and Economic at a local and global level to lay the foundation for the discussion. ‘What is the prevalent style of leadership today? Is this giving us the results we want/ seek? These were some questions he asked the audience to ponder upon. Vivek, then went on to introduce Wholesome Leadership and suggested this new approach as the way to lead sustainable change. He explained the three facets of Wholesome Leadership, namely: Self-Mastery, Relating to & Developing people AND Delivering Value. Explaining briefly the manifestations of these three facets, Vivek justified the What-Why-How of this new approach and its relevance. He used the analogy of the see-saw versus Lift. 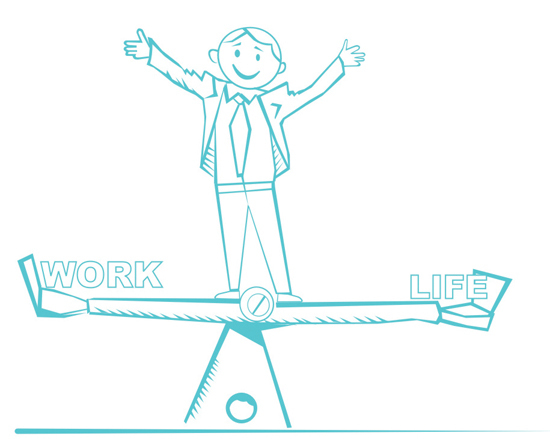 While one shows the current dilemma facing businesses in balancing people development with business growth, the other simply shows that both can happen in parallel. He suggested that Wholesome Leadership can serve to ‘lift’ people and carry them forward towards sustainable change! 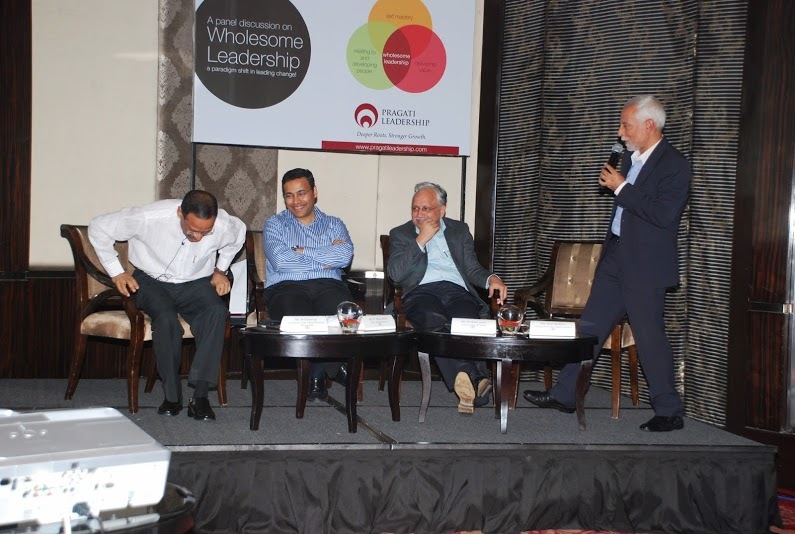 Vivek then introduced the three distinguished panelists to the audience before handing over the baton to Arun Wakhlu, our Executive Chairman, who was the moderator for the panel discussion. Taking cue from where Vivek left off, Arun urged the audience to think long-term and sustainable. To hammer in the point, he narrated a little anecdote from the Apache Indian community where elders would place all children and sit in a concentric circle around them while taking all collective decisions. This was done, he said, to ensure that they’re always aware that the effects need to be positively experienced for the next seven generations! As leaders, we need to have a similar ‘Wholesome’ approach, Arun reiterated. 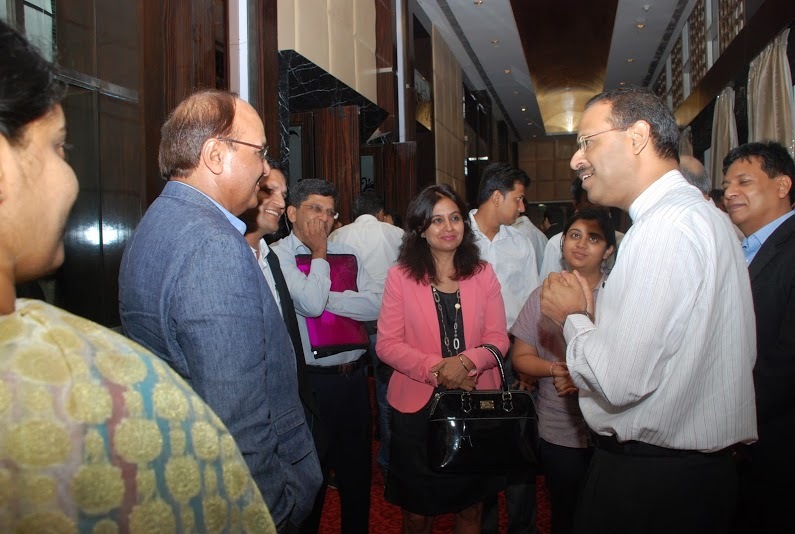 Thereafter, Arun invited Mr Anil Swarup – IAS, Member of the Cabinet Secratariat, Govt. of India, to take the podium as the first speaker. 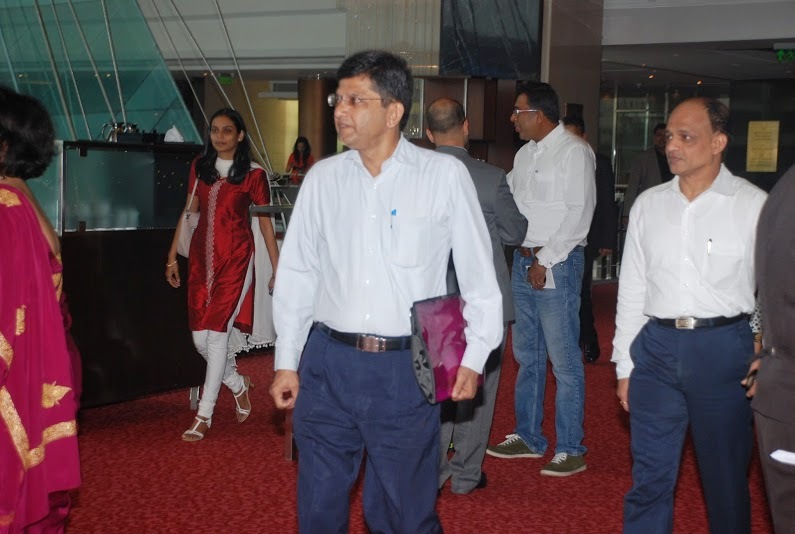 Mr Swarup spoke on Self-Mastery and livened up the atmosphere with some pointed observations, funny anecdotes and witticisms in the bureaucratic context. His inspiring talk for the next fifteen minutes urged the rapt audience to start this journey of transformation with oneself. He laid down some fundamental attributes to Self-Mastery, starting with a belief in a larger purpose and in the potential of self. 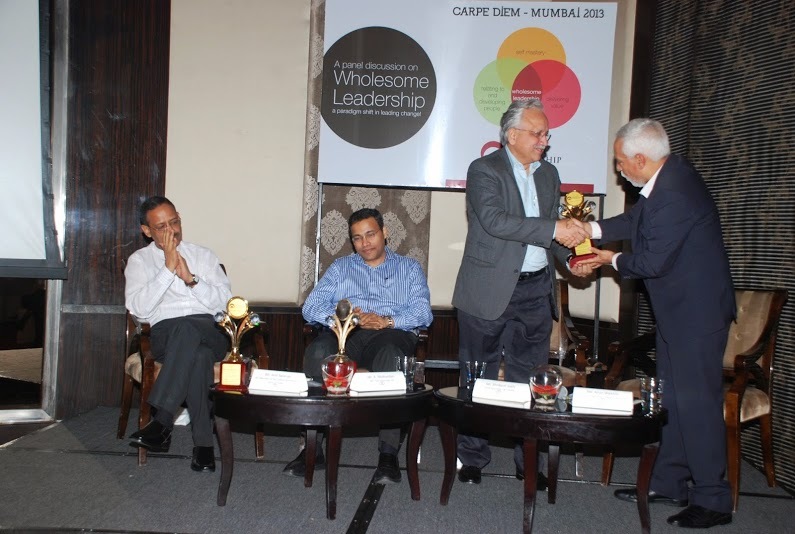 Mr Swarup stressed that this was crucial to delivering lasting value. To achieve that, he urged leaders to be unwaveringly passionate about the work they do. As leaders, they need to be seen as uncompromisingly honest and transparent, keeping promises they make. They also need to be free to dream BIG and have a vision that is inclusive, he urged. Finally, Wholesome Leaders need to be Efficient in delivering results to ensure that they become the change that they want to see in the world. A thunderous applause greeted Mr Swarup has he made his way back to the stage. 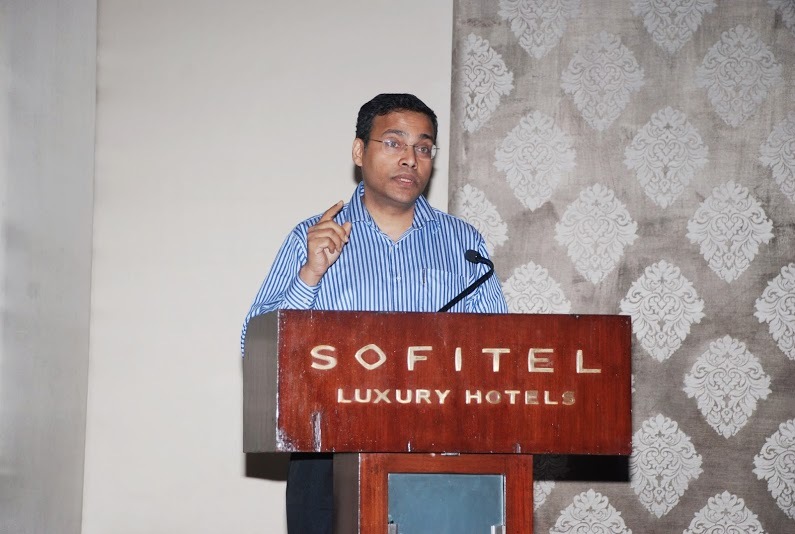 Next in line was Mr R Mukundan, MD of Tata Chemicals, who was speaking on the topic of ‘Relating to & Developing People’. Using this as a basis for his talk, Mr Mukundan shared that every year he showed this clip to his team for inspiration and guidance. He then went on to explain that it all began with the right value systems being put in place. If the team had the right values, their actions would facilitate better people relations and development, he justified. Get to know key people as persons!!! 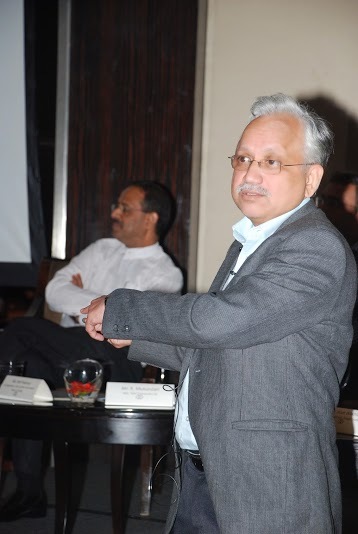 The audience seemed to agree wholeheartedly with his take on Mr Mukundan and applauded him generously as he took his seat, making way for Mr Shrikant Joshi to take the podium. 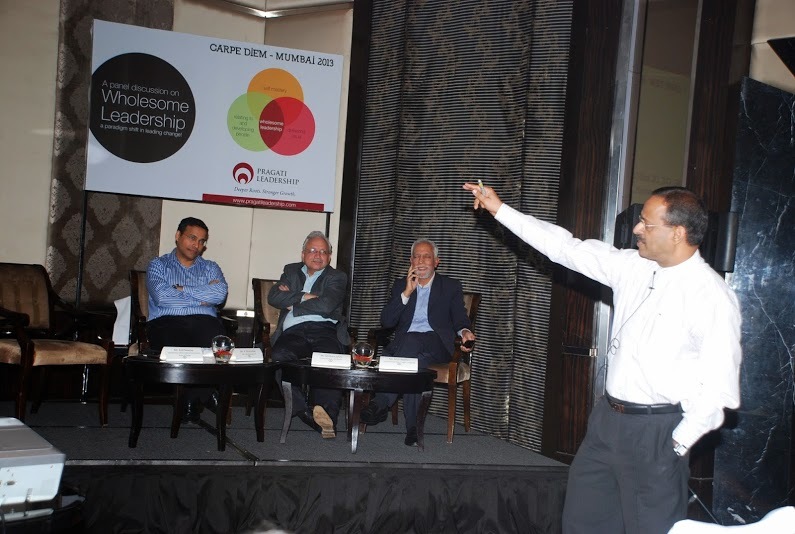 Mr Shrikant Joshi, Chief Executive of L&T Realty, was the third panelist, speaking on ‘Delivering Value’ to all stakeholders, as a crucial facet of Wholesome Leadership. Mr Joshi’s presentation was replete with inspiring examples of the wonderful slum rehab work undertaken by L&T Realty in Mumbai, through their initiative, incidentally titled ‘Pragati’! Through this initiative, Mr Joshi explained, over 5000 modern apartment units were handed over to slum-land owners who were now living a comfortable life. He also explained about how L&T Realty, contrary to industry practices, had pledged to have a 30% women workforce, which it has achieved! Through the many pictorial slides that followed, he threw light on a number of social initiatives undertaken across the country by the team to deliver value to all stakeholders. The floor was then thrown open to Questions from the audience. An invigorated group then sought more clarity on how to implement the simple practices of Wholesome Leadership in their day-to-day lives. Thereafter, the host, Vivek Yatnalkar, once again took stage. He thanked the panelists for their insights and sharing. Arun then proceeded to hand over mementos to the three eminent panelists, as a token of appreciation and gratitude. Finally, Vivek summarized the evening’s learning and prodded the audience to begin this journey of Wholesome Leadership and leading change by ‘taking ownership’. He got the guests to remind themselves of the mantra ‘ If it is to be, it is up to me’ and with that, the evening of learning and sharing drew to a close. But there was a surprise addition to the flow that no one anticipated. The Sous Chef at Sofitel was welcomed on to the stage by Vivek to share his ‘Special’ creation for the night, keeping the theme in mind. Chef Angad, explained that he had especially prepared ‘Wholesome food’ for Wholesome Leaders’ by a creative use of Wholesome ingredients, much to the delight and laughter of the audience. As the guests made their way to a sumptuous spread, the panelists were swarmed by some of them eager to continue the Q&A and to seek some more wisdom from the three stalwarts. 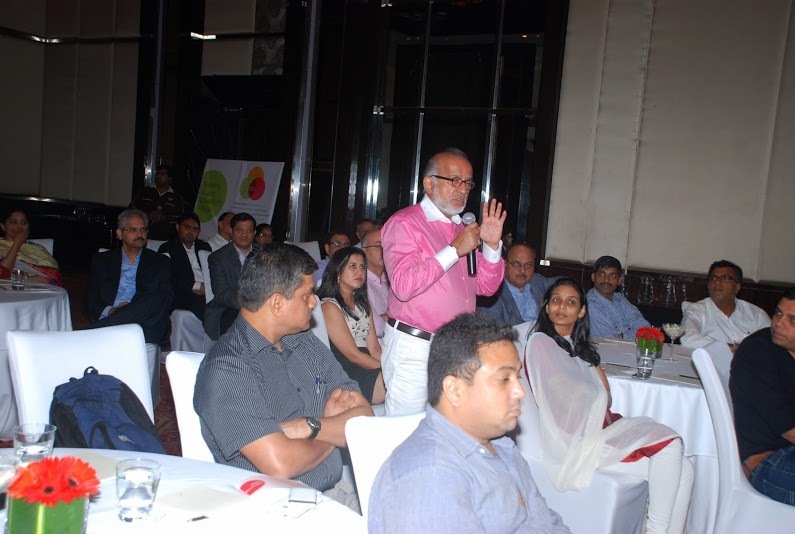 At about 10 pm, some good food, banter and networking later, curtains were drawn on a stupendous evening at Carpe Diem Mumbai 2013. 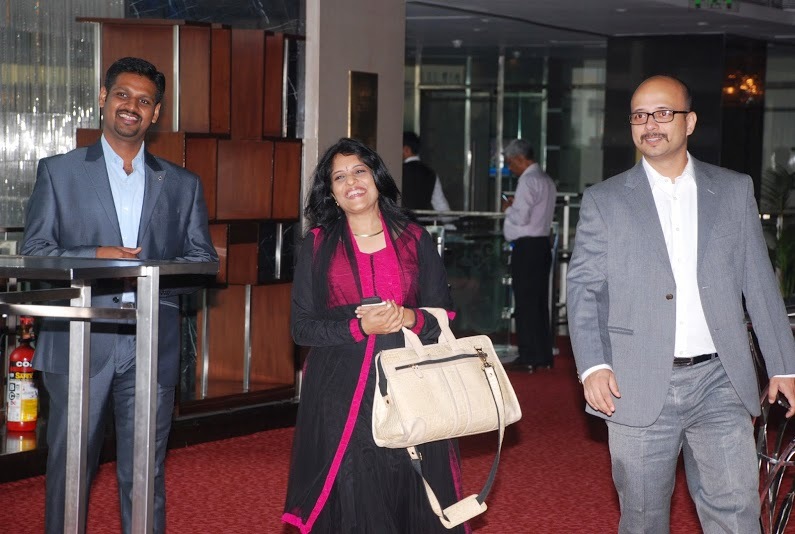 The entire Pragati Leadership Team would like to thank the guests who attended this learning and networking event, despite other pressing engagements. We would also like to thank the staff and support team at Sofitel Hotel for making the event a well-organized and enjoyable experience. Last, but not the least, many thanks go out to our esteemed panelists for taking time out from their busy schedules and gracing the occasion. The Karma Marga - Perfection in Action!